Last week, a member of the SEOMoz community asked whether there was a tool to count up all the Google +1’s across an entire domain. There didn’t seem to be an available tool, so I put together a way to do this by putting a list of URL’s into a text box, then having all the URLs checked for plus ones. 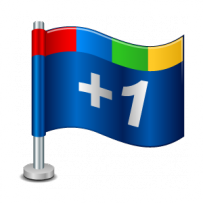 That tool can be found at Google +1 counter for list of URLs. Now I’ve taken that tool a step further with this tool that will actually crawl your site from the top level domain homepage that you input in the form. It will crawl all links I can find to create a complete list of URL’s for your site. It will then check them all for Google +1 status. Will follow every link on your site. Does not follow external links. Will handle a site of any size. The time it takes to complete is the only factor. Will not store any data found on any pages. Links are extracted and the content is then forgotten. We can now handle all domains I know of including .co’s and country domains like .co.uk’s. We now look at robots.txt. Therefore it will not crawl any pages that may be in this file marked as disallow. We now can create an xml site-map out of your results, you will get that link emailed to you. Due to some sites being submitted that have very dynamic URL’s there are a few things that are limited because of this. URL’s are ignored and not crawled if they’re over 500 characters in length. Dynamic url’s that pass parameters are limited to the first 5 parameter combinations the crawler comes to. That means if you have a url like example.com?fruit=apples, and you have 20 different fruits that are linked to throughout your site, only the first 5 fruits will be crawled. This is to stop the crawler from generating hundreds of thousands of combinations to pretty meaningless pages in terms of content. Chances are that apples and oranges displays pretty similar content. If you had that much content for your site, you should have apples and oranges on their own pages with appropriate url’s. Because of the point above, CMS sites like WordPress that don’t use good permalinks, IE every page on your site is example.com/?p=12345, your sites won’t work, sorry! I may put an override on this if it becomes a big issue, but that will have to be a manual override. My server is only processing 40 pages per minute. This is to keep bandwidth and calls to the Google API down. If you have a large site, it could take hours to complete. My server processes everyone’s sites at the same time. So each minute 40 total pages are being processed. They may not all be from the same site. The server handles links in a First In First Out (FIFO) method . A basic report is being worked on. An external linking report is being worked on. Leave comments to suggest features. Please fill out both your email address and the URL of the site you want to check. Please include http://www in your URL. When the crawler is done reading all of your site that it can, it will email you a report of every page that has Google plus ones on it, and a total of the plus ones for the entire site. Tool is paused right now due to a number of sites that have undiagnosed issues that are stuck in endless loops. When I have time, I will sort these out. Submission Status: Please fill out the form above.